Can't make it live? The recording and all class content will be available shortly after class (see registration options below). In this groundbreaking webinar series, Christopher will unpack the meaning and significance of the ‘Unstruck’ (Anāhata) Chakra and reveal its forgotten role in daily yoga practice. The name ‘Anāhata’ (pronounced ‘un-aah-hut-uh’) refers to the liberating sonic power (shakti) of the chakra seed mantras when engaged at the center of the heart chakra. Students will learn how the central Tantric practice known as the ‘articulation’ technique (ucchāra) was engaged at the Heart center – specifically how each of the five elemental seed mantras was engaged with the three-part prāṇāyāma innovated by the Tantrics. This practice, since lost to us, forms the heart of Christopher’s doctoral work; its presentation in this webinar is based on dozens of un-published Tantric texts. We will explore five stunning depictions of the Anāhata Chakra, several of which will be revealed for first time since the Indian subtle body was first discovered by the West. All of these derive from Matriarchal Chakra systems previously unknown to the modern west. Christopher’s translations of our five Anāhata descriptions, along relevant passages from other sources which inform the Anāhata practice. The names of each of the Twelve Petal Goddesses of Anāhata Chakra. The fundamental psychology of the Anāhata Chakra as applied to our daily lives. Additionally, Students will learn how the Anāhata Chakra was viewed in Matriarchal Chakra systems versus the single Patriarchal Systems known to us (see video preview, below). All registrants will receive Zoom sign-in instructions within 24 hours of each session. All are encouraged to participate and will have a chance to ask questions and make their voice heard in each session. 1. Become a Patron on my Patreon site for $40.00/month (you can cancel at any time). This gets you access to to this webinar, as well as ALL past and future webinars, and other rewards on a monthly basis! In addition to the monthly webinars, you’ll receive a patrons-only pdf of most recent translations & excerpts of current writing, mp3 audio meditations (with translations of 2 goddess Gāyatrī Mantras), and regular updates on my writing progress on each Monday of the month. 2. Register for this webinar (only $40.00) now by clicking here. Can’t make it live? All content available for download. Parts III - See below for simple registration options. Part I and II downloads are now available). On January 20th/21st 2019, the world experienced a rare event culminating in the 'Super Moon' Eclipse’ in which three overlapping time cycles (that of the year, month, and the 24 hour day) converged together as the shadow of the earth slowly eclipsed the full moon. This Eclipse, and the sequence of overlapping time cycles which surround it, was internalized in the medieval Tantras, where they formed the basis of the subtle body. This ‘Wheel of Time’ (Kāla Chakra) became a precise map for Self-realization, and gave rise to the Tantrik subtle body as it is known today. 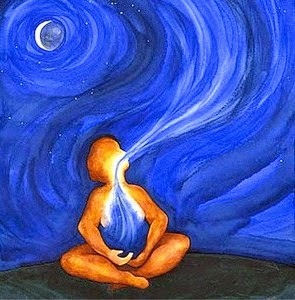 The Tantras proclaim that when this very rare confluence occurs, the yogin has the best chance for spiritual awakening. Join me for this two part webinar and experience the brilliance of this innovative system of Yoga for the first time. All teachings are drawn from my translation of the oldest known teaching on the Kāla Chakra, the ‘Wheel of Time,’ drawn from the unpublished ‘Beyond Time’ Tantra. The Internal 'Year' of Breath Time and the Origin of the Six Chakras. The Critical Role played by the ‘Eclipse’ in the Tantric Subtle Body. How the Kāla Chakra teaching provides a map for the Liberating Rise of the Unbroken AUṂ Syllable in the Subtle Body. Click here to download the recorded session of Part I now. My exclusive translation of the oldest known teaching on the Kāla Chakra ‘Wheel of Time’ tradition, from the unpublished ‘Beyond Time’ (Kālottara) Tantra, ca. 6th century A.D. Chart of Abhinavagupta’s teaching on the internalization of Macrocosmic Time onto the Subtle body. 1. Become a Patron on my Patreon site for $40.00/month (you can cancel at any time). This gets you access to ALL THREE of the webinars in this series (a $120.00 value), as well as ALL past and future webinars, and other rewards on a monthly basis! That is a total of 12 webinars for $40.00! In addition to the monthly webinars, you’ll receive a patrons-only pdf of most recent translations & excerpts of current writing, mp3 audio meditations (with translations of 2 goddess Gayatri Mantras), and regular updates on my writing progress on each Monday of the month. 2. Register for Parts I, II, and or III using the Paypal buttons below for a one time payment of $40.00 each. PART II: Click the Paypal button below to register for Part II ($40.00). Part III registration option will be uploaded to this page before February 24th, its scheduled date. Live Webinar ~ Thursday, December 13th, 5:00 pm - 7:00 pm PST. Can't make it live? The recording and all class content will be available shortly after class. In Part I and Part II of 'AUṂ & the Mystical Symbolism of the Gāyatrī Mantra', Christopher introduced the yogic symbolism of each keyword in the Vedic Gāyatrī mantra, as revealed in later Tantric sources. 1. Become a Patron on my Patreon site for $40.00/month (you can cancel at any time). This gets you access to ALL THREE of the webinars in this series, as well as all past and future webinars, and other rewards on a monthly basis! In addition to the monthly webinars, you’ll receive a patrons-only pdf of most recent translations & excerpts of current writing, mp3 audio meditations (with translations of 2 goddess Gayatri Mantras), and regular updates on my writing progress on each Monday of the month. The success of the Tantric tradition is based on an enormous discovery which radically shifted the practice of Yoga into a life-affirming practice. In pre-Tantric sources, liberation from the suffering of embodied existence could only be attained by yogins during the process of death – thought to be the only moment when the fully, liberating power of the AUM syllable, the sonic manifestation of the universal Self, can be discerned by yogins. But the Tantrics discovered a way to access the full liberating power (shakti) hidden within the AUM syllable -- while still living. The name given for this dynamic power was ‘Kundalinī,’ the significance of which has been largely lost to us before now. Drawing from numerous source Tantric texts, Christopher provides an overview of the innovative practice sequence which resulted from this extraordinary discovery. We will focus on the science behind the defining technique of this Yoga known as Ucchāra, the ‘Elevation’ or expansion of Consciousness which occurs when we attune our awareness to the subtle sound vibrations inherent within the AUM syllable. Recordings are available the following day for those of you who can’t make it live. Click here and here to watch a video preview of Part I of this webinar. Click here to watch a video sneak peak of Part II. IT'S NOT TOO LATE TO TAKE THIS COURSE! THERE'S PLENTY OF TIME TO CATCH UP! I created this series to be equally accessible and meaningful for those who take the sessions live and those who cannot (75% of our students do *not* attend live). 100 years ago, the West was introduced to the Kundalinī-based Yoga practice innovated by the medieval Tantrics. In his 1918 book, The Serpent Power, Arthur Avalon first presented us with a description of the chakra system to which this sonic practice was applied, but this introduction was given without the practice itself. Now, on the 100th anniversary, Christopher is bringing the practice back to life. His research into dozens of source Tantric texts has revealed that the original pan-Tantric Kundalinī technique, since lost to us until now, centered on Manipūra Chakra, the ‘City of Jewels’ and the applied practice of its seed mantra ‘HRŪM’. In this two-part video series, students will be introduced to the central role of Manipūra and its seed syllable, HRŪM, as taught in several Tantras dating from the 6th to the 17th centuries. This will include a Manipūra sādhana segment in which students will be led through the forgotten Ucchāra (sacred ‘utterance’) practice with ‘fire’ mantra HRŪM, as taught in our sources. Each webinar will be followed by a lively ninety minute discussion session to answer questions and to discuss the practices taught in our two Webinars. If you can’t make it live, recordings of all sessions will be available following their conclusion. I am the Goddess called ‘Highest Bliss.’ I am found in the maṇipura chakra as the Auspicious Power of Rudra, known as Lākinī. I am the flowing power of Sarasvatī who brings Rudra (the “Roar” of the Manipūra seed mantra) to life. She (Lākinī, as ‘hrūṃ’) is the śakti who ascends upward – her upward movement (as ‘hrūṃ’) grants all that is desired by the yogin; Ascending into the upper range of the central channel, She becomes the maternal power of Yogins known as the ‘Yoginī.’ Therefore, one should meditate on the gems [component letters] forming the great power this sound [her seed mantra] within the pure space of Manipūra chakra. 1. Become a Patron on my Patreon site for $40/month (you can cancel at any time). This gets you access to this webinar, all future webinars, and other rewards on a monthly basis! In addition to the monthly webinars, you’ll receive a patrons-only pdf of most recent translations & excerpts of current writing, mp3 audio meditations (with translations of 2 goddess Gayatri Mantras), and regular updates on my writing progress on each Monday of the month. 2. Register for Part I using the Paypal button below for a one time payment of $40.00 OR register for Part I & Part II for a one time payment of $75.00. Can't make it live? The recording and all class content will be available shortly after class. The success of the Tantric tradition is due to an enormous discovery in the subtle body which radically shifted the practice of Yoga. Previously, it was thought that liberation could only be achieved at death, by uttering awareness to the arising syllable AUM; the resonance of the syllable would then tap into the full power of one's highest soul, located above the crown of the head, to help draw the soul out of the body permanently. But what if this “source power” could be accessed during life? The Tantriks were the first to discover a way to temporarily “extend awareness” (tantra) beyond' (para) the head in order to tap into the resonance of our highest Shakti. Through an innovative pranayama practice, this power was drawn down in order to remove all karmic blocks to embodied liberation. In this webinar, we will receive the experience of this profound vision -- as described by the Visionaries who had it. This session is an important preparation for our next series -- to be announced soon - an immersion into the forgotten step-by step chakra vinyāsa Yoga practice once prescribed by all Tantrik lineages (drawn from largely unpublished source texts). 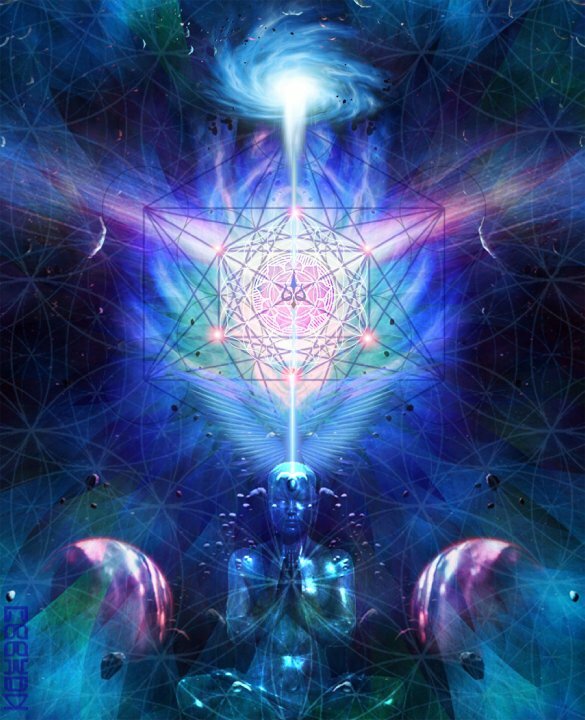 ·The sonic science of Awakening: why the coiled power of the Sahasrara Chakra is called the ‘unbroken voice of the divine’ who is ‘beyond ordinary perception’. Live Webinar ~ Wednesday, June 6th, 5 - 7 pm PST. Can't make it live? The recording and all class content will be available shortly after class. Live Webinar ~ Sunday, April 29th, 6 - 8 pm PST. Can't make it live? The recording and all class content will be available shortly after class. 100 years ago (1918), the Chakras & five Chakra seed mantras were first introduced to us by Arthur Avalon in his book ‘Serpent Power.’ Avalon drew from the sixth chapter of the ‘Jewel-Essence of Highest Reality’, a Tantrik work completed by Pūrnānanda in 1577 A.D. Unfortunately, Avalon mis-translated these critical mantras. We have received them as ‘LAM, VAM, RAM, YAM, and HAM,’ which are incorrect. Since 1918, the importance of these 5 mantras to yoga has been lost, including how they were applied in practice. Now, on the 100th anniversary of Avalon’s work, we will receive the true meaning, beauty, and practice of the Chakra seed mantras, as drawn from un-published Tantric sources. Students will learn how seed mantra practice original to the Tantras focused on threading Kundalinī, the ‘Coiled Power,’ through the karmic ‘knots’ (granthis) suspended along the central channel (sushumnā). In piercing these ‘knots’, lifetimes worth of stuck karmic energy is released from one’s life. We will immerse in ecstatic teachings celebrating the Chakra Seed mantras as the liberating power of Shiva (Awakened) Consciousness – presented as the birthright of all human beings to experience. In the first half of our webinar, I will reveal the correct seed mantras taught by Pūrnānanda, drawing from 5+ Tantric sources spanning 1,000 years of forgotten yoga history (5th century to 16th). In the second half of our webinar, students will be led through this prānāyāma-based technique originally engaged with the correct Chakra Seed Mantras, called the ‘Utterance’ practice (Ucchāra). $40.00 ~ Live Webinar ~ Sunday, February 25th, 6 - 8 pm PST. Can't make it live? The recording (with handouts) will be available right after class. In this session, I will draw from newly translated passages from Tantric ritual manuals to explain the practices poetically referenced in the Kundalinī Awakening testimonies of three celebrated Tantric Masters of Kashmir: Abhinavagupta, Kshemarāja, and the poetess Lallā (Lalleshwarī). As I will reveal, the Kundalinī-based yoga celebrated by these beloved mystics is a science, once engaged daily by tantriks of all lineages--a path to self-awakening based on an innovative mantra practice and led by an empowering three-part prānāyāma practice. This Webinar begins my step-by-step revelation of the pan-tantric daily yoga practice engaged by these masters, which will conclude in my May Webinar. “That Secret, Undulating Power, who illuminates all objects in sight (from the crown of the head), is accessed in the space (of the 3rd eye) where She transforms into the Coiling energy of Prāna (prāna-kundalinī).” -Abhinavagupta. Maatrikaa Nyaasa means ‘Installing the Little Mothers.’ This was the concluding practice of Kundalinī-based Yoga of the Tantras, focused on drawing the immortal nectar of Kundalinī down into the body. This ‘nectar,’ envisioned as the light and sound of OM, is tapped from the 3rd eye center; with prānāyāma, visualization, and concentration techniques, this revivifying ‘nectar’ disperses into the fifty ‘little mothers’ or Shaktis (maatrikaas) represented by the 50 letters of the Sanskrit alphabet, one for each petal of the chakras. Four years ago I introduced these ‘Little Mothers’ in My ‘Universal Mother Chakra Course’. * Two weeks ago, I discovered this phenomenal depiction of the ‘Maatrikaa Nyaasa’ practice by Lahiri Mahasaya, the guru of Shrī Yogānanda’s Guru. In my February webinar, I will present this practice, as shown in Lahiri’s drawing, as taught in the source Tantras. Meet the 50 ‘Little Mothers’ of the Chakras, previously lost to us in Western sources. Students will be taught an introductory Maatrikaa Nyaasa technique, based on my translations of Source Tantra texts. Click here to meet the 50 Petal Goddesses of the Chakras, re-introduced in my 'Chakras of the Universal Mother' online Course taught with Shiva Rea. Click here to access the 'Chakras of the Universal Mother' online Course taught with Shiva Rea. Join our 'Roots of Kundalinī Yoga' Patreon Campaign, and for the original registration price of $40.00, you will receive the recording and handouts of Session I, PLUS numerous other gifts, including my recent translations of rare Tantric passages on Kundalinī and the Chakras. Click here for more! Each live interactive video session will be hosted on the 3rd Sunday of every month at 6pm-8pm (PST). Topics will be posted here about a month in advance. For the last decade, I have diligently researched hundreds of un-published Tantric texts which span 1,400 years of un-chartered Yoga history seeking the roots and evolution of Kundalinī and the Chakras in Tantric Yoga. That research disclosed that 'Kundalini Shakti' was not originally a 'dormant serpent power' located at the base of the spine, but a liberating, sonic power engaged throughout the subtle body in a liberating daily practice since lost to us. For the last decade, I have diligently researched hundreds of un-published Tantric texts which span 1,400 years of un-chartered Yoga history for the roots and evolution of Kundalinī and the Chakras in Tantric Yoga. I have found that 'Kundalini Shakti' was not originally a 'dormant serpent power' located at the base of the spine, but a liberating, sonic power engaged throughout the subtle body in a liberating daily practice since lost to us. $40.00 ~ Live Webinar ~ Sunday, January 21st, 6 - 8 pm PST. Can't make it live? The recording (with handouts) will be available right after class. The West was first introduced to Kundalinī and the Chakras through the 1918 publication of ‘The Serpent Power,’ by Arthur Avalon (a.k.a. John Woodroofe). The Chakra system as we know it today still derives from Avalon’s problematic translation of the “System of Six Chakras (Shat-Chakra-Nirūpana),” the sixth chapter of the “Jewel-Essence of Perfect Awareness,” a beautiful Tantric work composed in 1577 by Shrī Pūrnānanda (‘One who is Full of Bliss’). 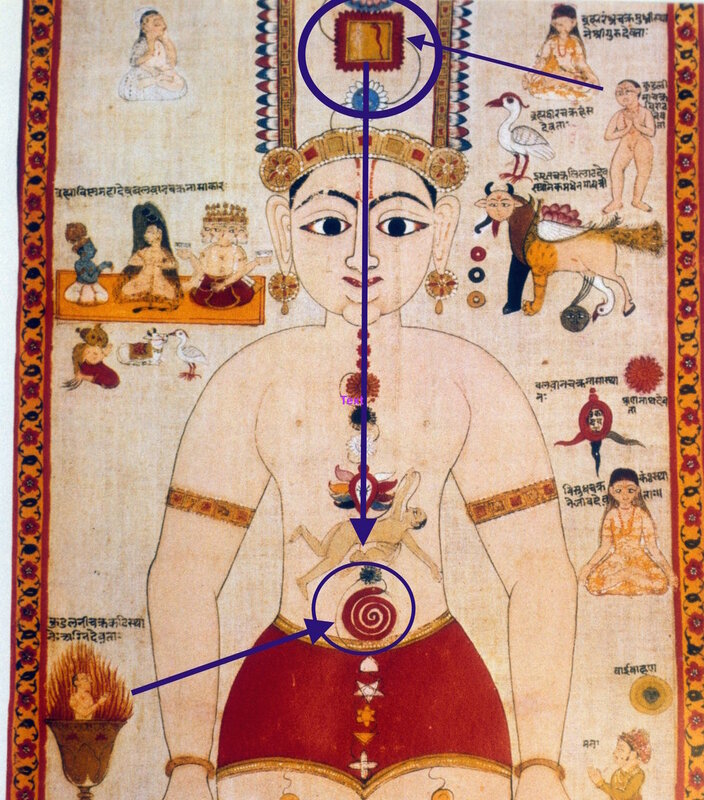 Images from recently discovered Chakra Scrolls, featuring Kundalini as Shiva's 'Coiled Power,." In this birth motif taught by Pūrnānanda (and many other Tantrics), Shiva, who symbolizes our 'awakened consciousness,' is born through his own power in the body of a yogi at the peak moment of Yoga practice. For the past 100 years, the Kuṇḍalinī-based Yoga practice applied to the chakra system we know--taught elsewhere in Pūrnānanda’s great work--has remained a mystery. A. The Truth about Kundalinī and Mūlādhāra Chakra. I will provide concrete evidence that Avalon’s depiction of a dormant Kundalinī, wrapped around a ‘lingam’ at the base of the spine in the mūlādhāra chakra (image left), is a mis-translation of Pūrnanānda’s original teachings, which featured a dynamic Kundalinī force which ‘births’ Shiva consciousness in the body of the yogi (image right). Left: Image of Kundalinī wrapped around a lingam, based on Avalon's mistranslation of Pūrnānanda. Right: Image of how Pūrnānanda actually describes Kundalinī, 'birthing' Shiva in the body. B. The Relationship between Upper and Lower Mūlādhāra Chakras. Experience the original insight teachings of Pūrānanda, a true Tantric master, as he reveals the liberating power of Kundalini when engaged in the original practice of Tantric Yoga. The topic of each exciting monthly webinar will be drawn from my current writings on Kundalini, the subtle body, and the forgotten practices of the original Kundalini-based yoga of the Tantrics. Students will receive a PDF of my exclusive Sanskrit translations which inform each session. Sunday, December 17th, 6 pm - 8 pm PST. Non-Dual Tantrik Yoga Philosophy & teachings with Chris & Lucid Dawn, from the original Tantras on the movement of life force energy - Kundalini. Practices to reconnect to the Goddess/ feminine powers of sound, breath, & meditation. Students will be led through a foundational practice of the original Chakra Bija Mantra Vinyasa. Collaborating for the first time in years, Christopher Wallis, PhD, and Christopher Tompkins, PhD candidate, come together for landmark discussion on the origins of the doctrine of Kuṇḍalinī within Tantrik Yoga. 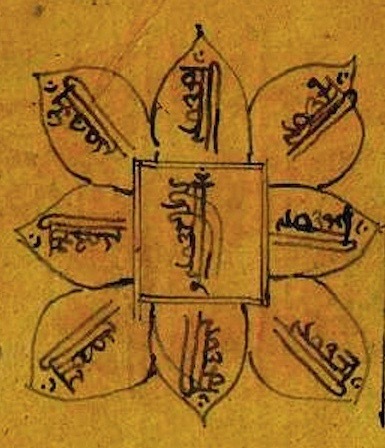 This is a historic conversation: never have we been so close to cracking the riddle of what Kuṇḍalinī really is (according to the primary sources which originated the term), which has been the biggest unsolved mystery in the field for decades, ever since it was realized how wrong Woodroffe's pioneering early research really was. These two widely recognized scholar-practitioners will discuss primary sources passages, with Dr. Wallis surveying the 'state of the field' and then interviewing Mr. Tompkins, since the latter has done the foundational work in the earliest Tantric sources that teach Kuṇḍalinī and has collected manuscripts from around the world that depict the relation of Kuṇḍalinī and the Cakras. This will be presented as an ONLINE INTERACTIVE WEBINAR. HOW TO SIGN UP: there are two ways. Either PayPal $40 or more to cptompkins@yahoo.com (with note: "Tantric Origins") or, even better, go to www.patreon.com/kundaliniyoga and join at the $40 level (you can always cancel after the first month).